Dimensions 0 by 7.10 by 10.10 in. Amazon.com description: Product Description: Every human being is aware of the flow of time. This fact is embodied in the existence of such notions as the past and the future, the two domains being separated from each other by the single moment of the present. While the past is regarded as fixed and definite, the future is viewed as unknown, uncertain, and undetermined. The only perceivable moment is the present, the `now' - the ever-changing point moving from the past into the future. Physics tells us a different story: not only are the vast majority of physical laws time-reversible, but the concept of the `now' itself has no place at all in physics. In other words, the equations of physics do not distinguish between the past and the future and seem to be completely oblivious to the very idea of the present. 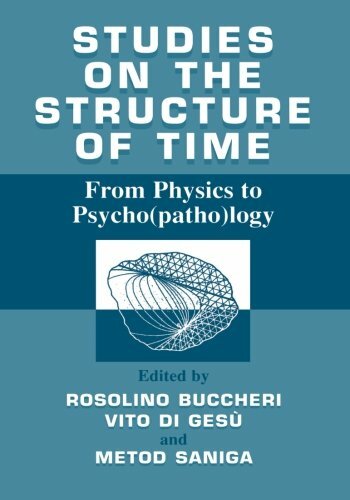 This book discusses the biological and psychological aspects of perception of time, and the problems related to the determination of location arising from quantum physics, together with comments and opinions from philosophers and physicists.